Oliver Bellevue became interested in pursuing a career as surgeon after attending BASM's inaugural mission. After completing his undergraduate coursework at UC Berkeley he attended medical school at UC San Francisco. He is currently a second year resident at Swedish Medical Center in Seattle, WA where he continues to build his fund of knowledge and technical skills in anticipation of future missions with BASM. 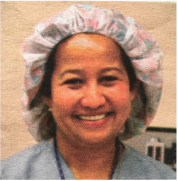 Erna is a native of Daet, Camarines Norte, Philippines, and has worked as a Registered Nurse at Kaiser Oakland for over 30 years. She serves as the cultural bridge between BASM volunteers, the beneficiaries of BASM medical services and local government agencies in the Philippines. She has been participating in medical missions to the Philippines since 1998. Richard has been a leader and volunteer with BASM since 2010, providing communications expertise and operational support for BASM. He is also Vice President of Public Affairs at the California Wellness Foundation. 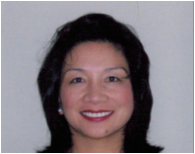 Dr. Ciaravino is a Gynecologic Oncologist at Kaiser Oakland/Richmond, California. He received his medical degree from Stanford University, where he also completed his OB/GYN Residency. 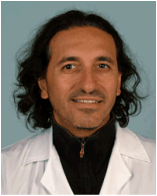 He completed his fellowship in Gynecology Oncology and Surgery at Stanford University and the University of California in San Francisco. He has been participating in Surgical Missions to the Philippines for over 10 years and brings us his expertise in Gynecologic Surgery. John is a Nurse Anesthetist and has volunteered with BASM since 2008. 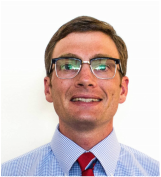 He has also been a Staff Anesthetist at Kaiser Oakland from 2002 to present. John holds a BA in Biochemistry, BSN and MSN in Nursing, and is a Certified Registered Nurse Anesthetist (CRNA). Ms. Deveza has been involved with BASM since 2000, providing coordination and operational support for the mission. She is a native of Daet, where she currently resides.